Gaze at perfect views over the saltwater lagoon pools from your Lagoon View Room! Experience an incredible night’s sleep on either a king or double famous Sheraton Sweet Sleeper Bed and enjoy staying cool, with climate control air-conditioning, and connected with free in-room Wi-Fi. Complimentary room upgrade from a Mirage Resort Room included. Planning a holiday can be expensive especially when children are involved. 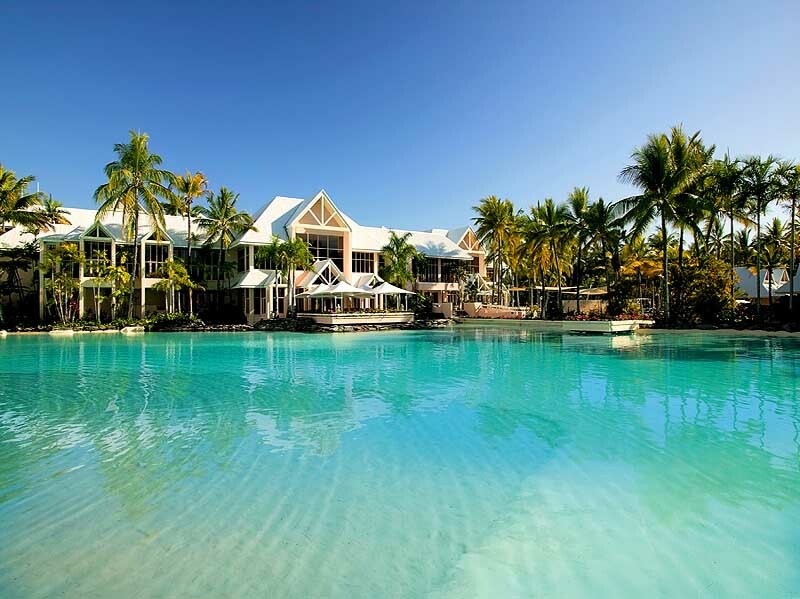 When selecting this exclusive My Queensland package taking the whole family with you will hardly cost you any extra! Up to 2 children 17 years or younger will eat breakfast for free and stay for free when sharing a room with parents and utilising existing bedding. Wine and dine to your hearts content! When you check in, the credit is applied to your room account which can be used towards food and beverage at any of the resorts restaurants and bars! 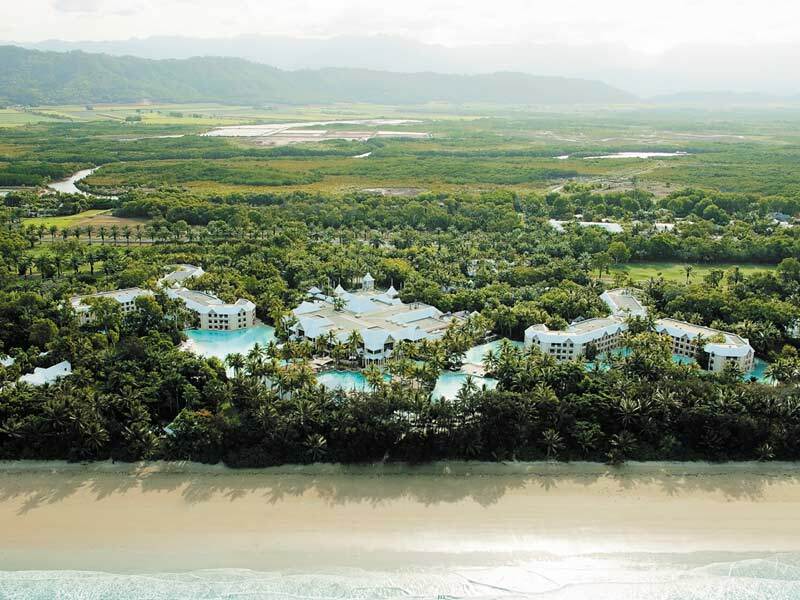 Need a rest day after all of your exciting Port Douglas adventures? Spend a day relaxing at the lagoon-side cabana with complimentary access! 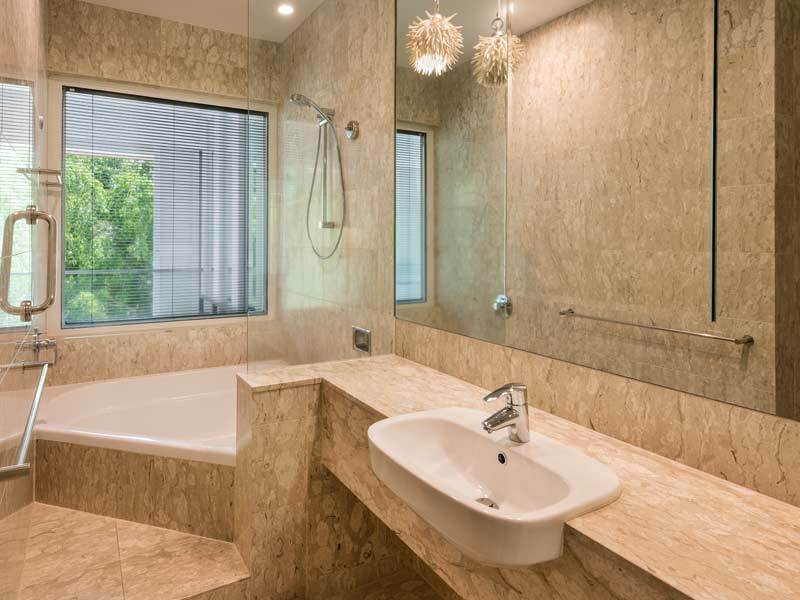 Enjoy some quiet time and feel refreshed, rejuvenated and ready to take on Port Douglas again. We all get a little thirsty after a flight, right? 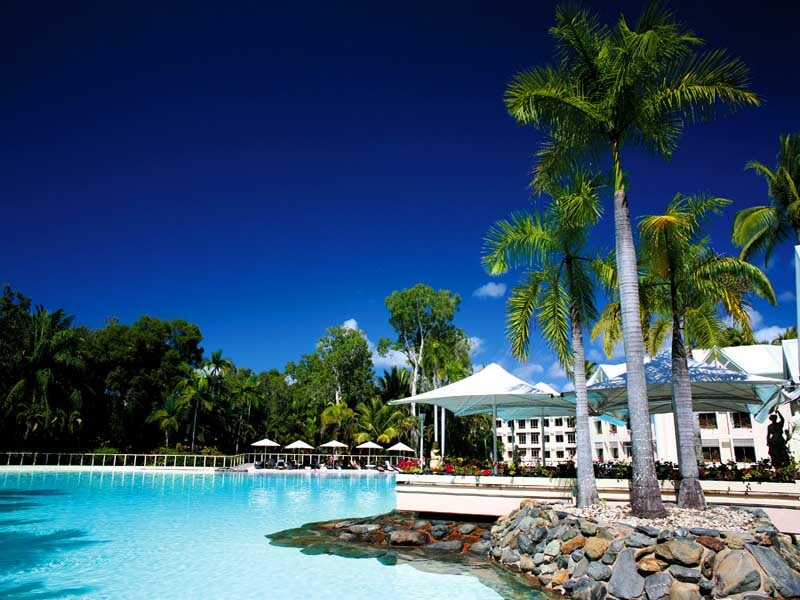 When you arrive at Sheraton Grand Mirage Resort Port Douglas there will be a refreshing cold drink waiting for you! 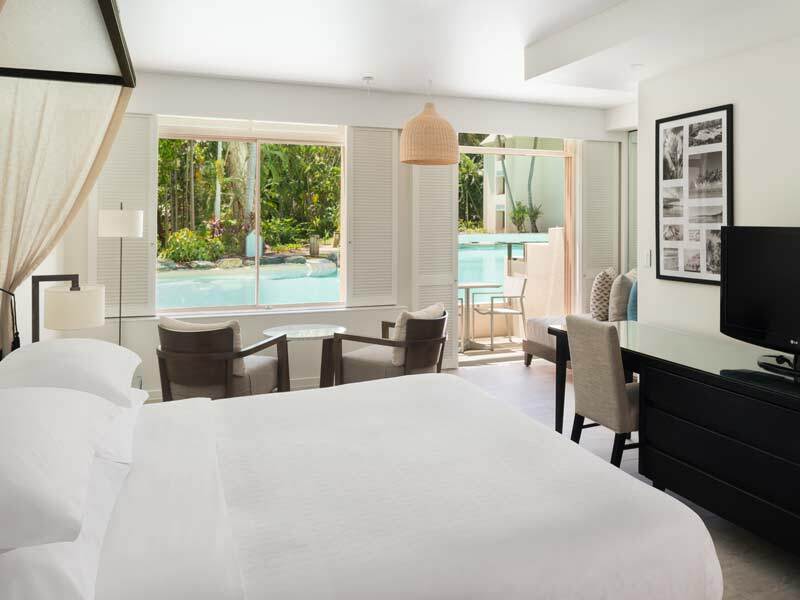 Mirage Studio Suite – UPGRADE from only $200 per person! 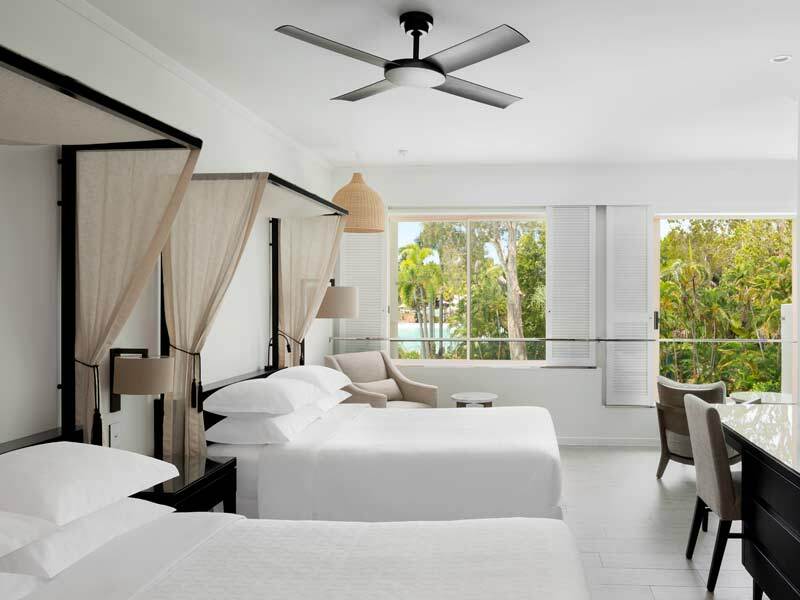 Lagoon Studio Suite – UPGRADE from only $350 per person! 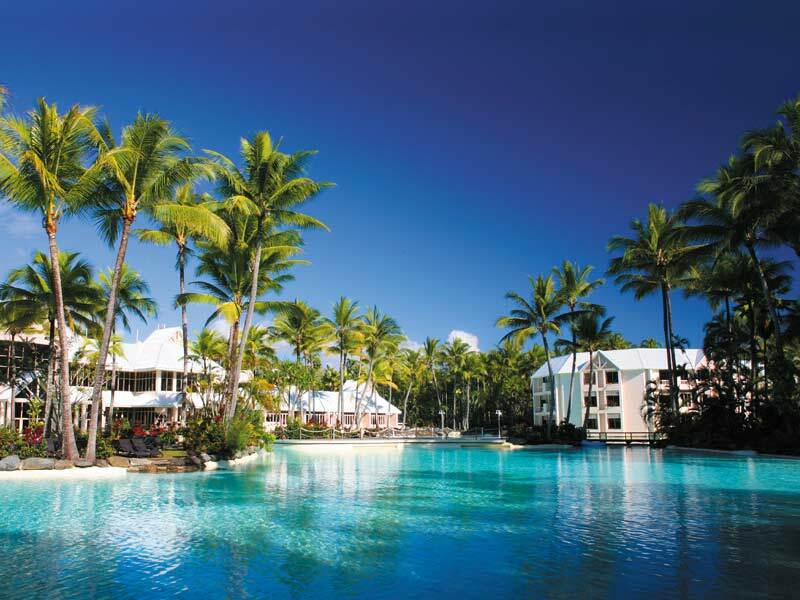 The Sheraton Grand Mirage Resort Port Douglas is an icon in this picturesque beach town. 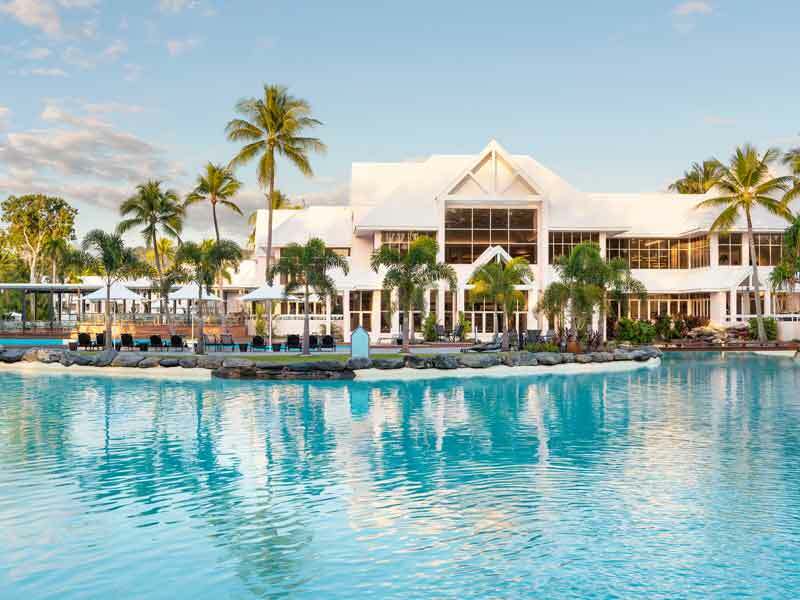 With its flowing saltwater lagoon pools, 18-hole championship golf course and ideal location between the Daintree Rainforest and world famous Great Barrier Reef, a holiday at the Sheraton Grand Mirage Resort Port Douglas is a unique and unforgettable 5-star experience. 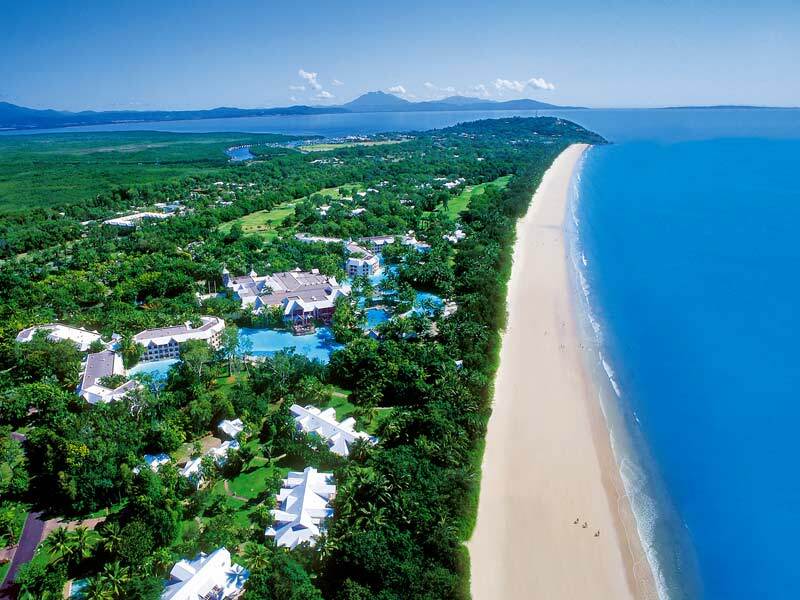 Read more about Sheraton Grand Mirage Resort Port Douglas here! #Kids Stay FREE Up to 2 children can stay free of charge when using existing bedding (applicable to children 0-17 years old). Additional charges apply for a rollaway bed for a 3rd adult. 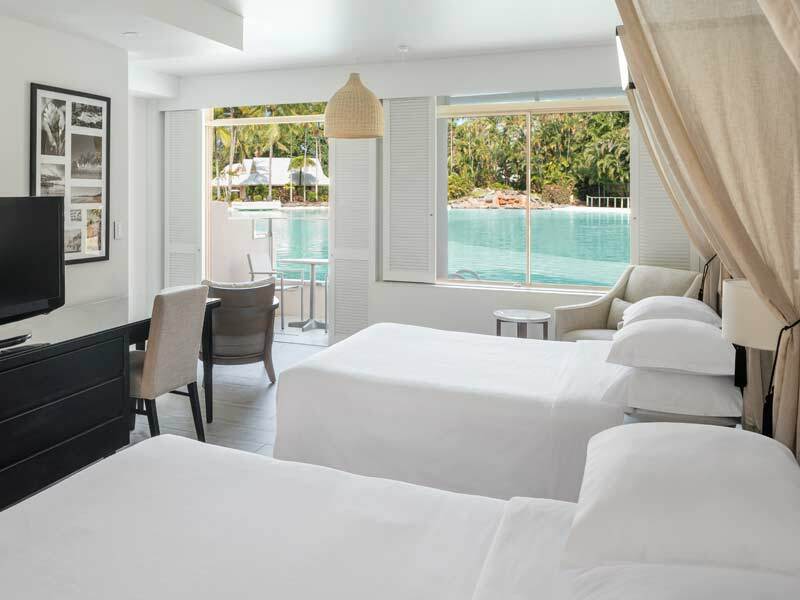 *AU$500 Wine & Dine Credit per room, per stay Exclusive My Queensland Wine & Dine Credit per room per booking to use at the resort’s restaurants and bars. (Excludes in room dining, mini bar and room service) Wine & Dine credit cannot be applied towards external third party service providers. E.g. Day Spa and Tours. No Voucher is necessary for your Credit. This itinerary serves as your confirmation/documentation due to your Credit being held directly with the Resort. Credit can not be used with any other offers/discounts. ~*Quicksilver Outer Barrier Reef to Agincourt Reef: Quicksilver takes you to Agincourt Reef, at the very outer edge of the Barrier Reef. Here, special reefs known as ‘ribbons’ run parallel to the Continental Shelf. Adjacent to the Coral Sea trench, these ribbon reefs are recognised as the most pristine eco-systems in the reef’s environment. Clear water provides the best possible underwater visibility, encourages rich coral growth and supports spectacular marine life. As the region’s outer reef pioneer, we chose the best location available to show you nature’s finest. ~Wavedancer Low Isles Cruise: A secluded tropical paradise, set like a jewel in the Great Barrier Reef, Low Isles is an idyllic, unspoilt coral cay island – a tropical island paradise. Combined with the romance of sailing aboard Quicksilver’s luxury 30 metre sailing catamaran, Wavedancer, this is the perfect day for families and couples seeking island relaxation. From the moment Wavedancer moors in the calm waters of the island’s picturesque lagoon, a host of reef activities await. Our friendly crew will take you on a leisurely, informative day where island visitor numbers are limited. Discover the mysteries of marine life while snorkelling or glass bottom boat viewing. Take a guided beach walk and snorkelling tour with a marine biologist or just relax on the beach under a thatched umbrella or on the decks of Wavedancer. 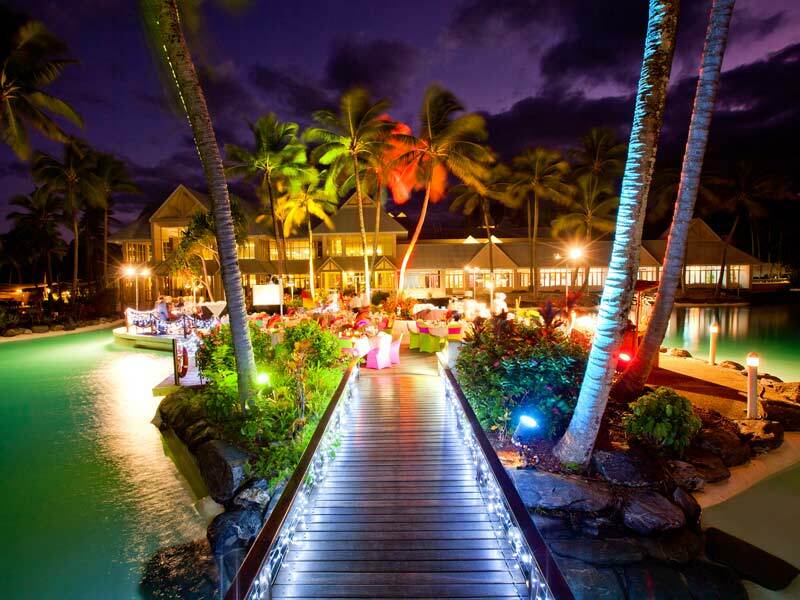 Visitors are limited to protect the reef’s ecology, so you’ll experience this island heaven with a select few. So Relax – the whole of this beautiful, palm fringed island beach is yours to explore and enjoy.